If you are looking for best MacBook Air®13 Accessories, there are numerous factors to be considered when deciding which accessory is right for you? Should you buy the red color Case or black one? Should you go for TPU Case, Leather Case, Silicone Case or Flip Case? Does it fit in your budget? If not then would you compromise on quality etc. and blending all these factors and making a perfect combo of these factors is not at all easy. We at Smacktom, have tried our best to blend all of these factors and after a deep study, we are into the market with best products as we are very much interested in serving our customers with complete satisfaction without any compromises. 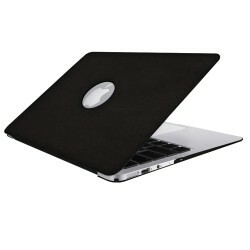 We at Smacktom, offers best quality accessories for your MacBook Air®13 like Cases, Cables, Earphones, Speakers etc. to name a few, at best prices so that you can personalize your gadget and protect it completely. Start shopping accessories of your need today at Smacktom – the most famous online store for MacBook® accessories with free shipping in the U.S.